Anyone have any experience with this particular suppressor? I just ordered one because all my other suppressors are from AAC (M4-2000,Ti-Rant, Pilot)and I wanted to keep the same quick attach 51T mounting system across both 5.56 and 7.62 calibers. I'm planning on a 300 Blackout build down the road and I think this will perform better on it than my LMT MWS .308? Thoughts? If you had a choice, which 30 caliber suppressor would you go with and why? Not sure that I'm going to be much help as I only have one .30 cal suppressor and no .300 Blk rifles. But I do have the AAC 7.62 SDN-6 and I love mine. Goes from 5.56 (three AR (1) 16"/(2) 14.5" pinned barrels) to 7.62x51 (SCAR 17) without issue, and has been as quiet as I need it to be across several rifles. Of .30 cal cans I have a 762SD, a 762-SDN6, and a Rugged .30 Micro currently in suppressor jail. The SDN6 is an upgrade over the original design and works well - I use it on .308 and .300BLK. The 762SD has a little more volume and seems to suppress better (hearing being very subjective), but the SDN6 is smaller and lighter. Both seem hearing safe with normal .308 when outside. The 762SD is an 18 tooth from 2007 (my first rifle can - F4 took less than 30 days door to door!) and the SDN6 is a 51. I have a ton of their mounts on rifles, but given the advances many other manufacturers have made I found the Rugged features far more to my liking. More/less the same dB rating, easy to clean, modular, lighter and cheaper. It will be interesting to compare the BLK subs to the SDN6 and my Obsidian .45 w/9mm end cap. I've gone away from AAC (I have 3) since many other options these days have better features, are less expensive and work just as well, if not better. I haven’t used my Ti Rant 45M with my 300 BO yet. Also a DeadAir Sandman Ti for my 6.5 Creedmor in jail. Or use the AAC 7.62 for the Creedmor? Same question- different caliber . I have one and it suppresses BO well but it is heavy and large compared to newer cans. I’ve been kicking around the idea of a different, modern can to replace it lately. I use mine on my 300blk, 6.5G and 5.56 with no issues. I prefer it on my 5.56 Tavor X95 over a 5.56 can since the Tavor is overgassed. The 762-SDN-6 was a weird animal made specifically to work with the new (at the time) 300 BLK cartridge we were playing with. It combined the shorter baffle spacing (.457") and vented, stamped Inconel baffles we had pioneered for the U.S. Navy version of the M4-2000, but in .30 caliber. It works great with 300 BLK, and does a better-than-expected job when used on a 5.56mm host. It's length (~7.75") made it a good "crossover" length to be used on both 300 BLK and 5.56mm hosts. So much so that for a couple of sales years, the 762 SDN-6 was AAC's best selling "5.56mm" silencer, outselling the M4-2000! As others have stated, the oversized bore of the SDN-6 plays well with over-gassed and/or 5.56mm piston-driven systems that tend to bark and not run well with cans with a 5.56mm specific bore. If you find an SDN-6 at a non-offensive price, grab it. It's a solid design with a lot going for it. I've had one for 7 years, north of 6-7K of 762x51 and 556 on SBR SCAR 16/17s and ARs. Little to no POI shift on my rifles. Zero issues and tight lockup on my weapons. Not light, but it's durable as heck. Sure, there are cans out there with newer designs, but the SDN6s is still a solid choice IMO. Been thinking about getting a new pistol / rifle that I could use with one of my existing suppressors. Specifically the AAC 7.62-SDN-6. 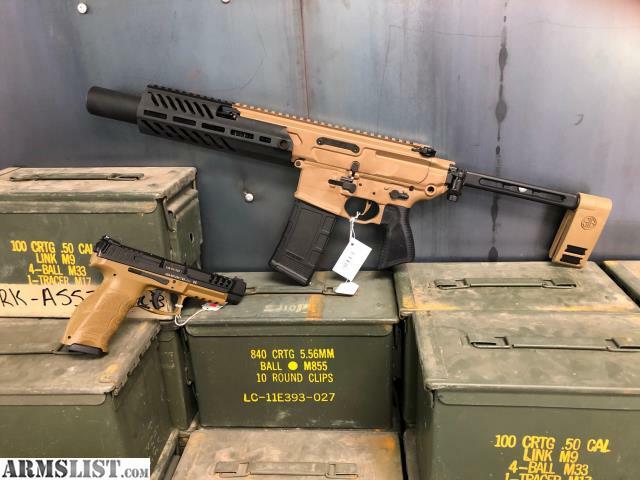 Is anyone running an AAC 7.62-SDN-6 on a Sig Sauer MCX Rattler Canebrake 300 AAC Blackout? 51-T attachment a problem with this setup?